Images from the installation of the new crucifix on August 27, 2010. Images from the Procession on the Feast of Corpus Christi, June 6, 2010. Images from the Good Friday Office and Holy Saturday (Easter Vigil) Solemn High Mass. The dinner of traditional Irish fare and entertainment was a big success. Thirteen members of St. Rose made their Confirmation on November 21st, 2009. On Nov. 8th, St. Rose of Lima celebrated its first anniversary with a Solemn High Mass and a dinner. 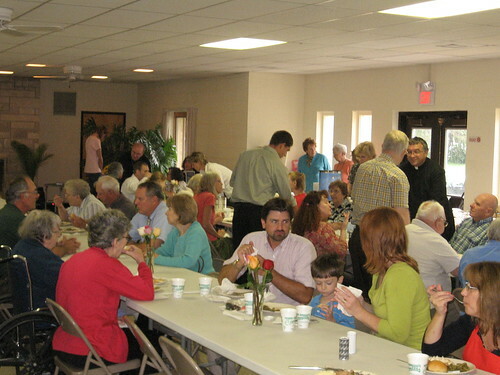 On Aug. 30th, the Feast Day of St. Rose of Lima, there was a special High Mass and a pork dinner served in the hall. The first wedding held at St. Rose of Lima since the reopening in 2008, of Katie Wernowsky and Derek Peter. Exterior photos of St. Rose. Photos of the rectory, hall, and other parts of the grounds. 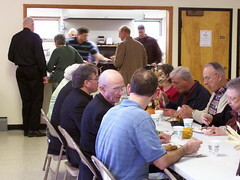 Some of the members of St. Rose. Pictures taken July-November 2008, while St. Rose was being cleaned and renovated for the new Latin Mass. 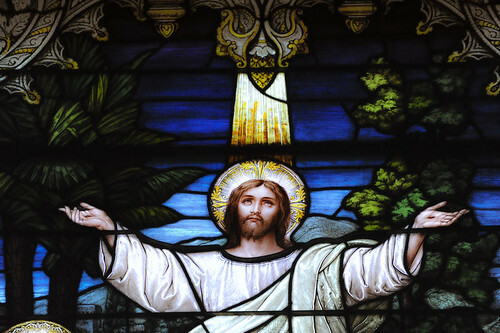 The many beautiful stained glass windows of St. Rose.